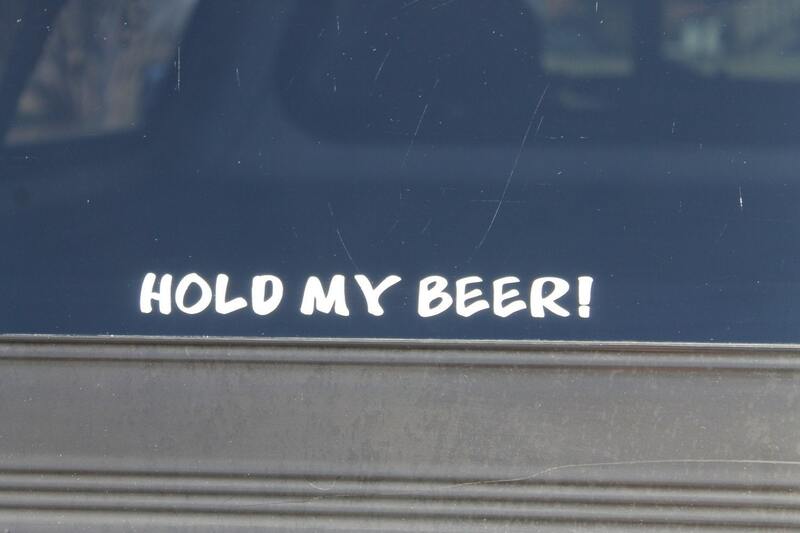 A Redneck's last words......Hold my beer! 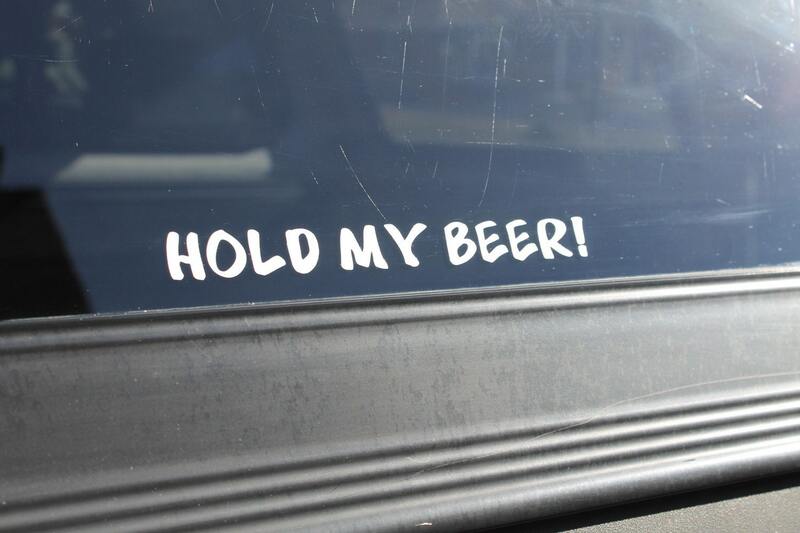 Funny vinyl decal will get lots of laughs. I'm from the South and I've heard this many times. It never ends well. haha I think I may have to add another decals now that I think about it.....coming soon "Watch This"
Long-lasting, outdoor vinyl decal. Weather resistant and easy to apply. Application instructions will be included. These decals will stick to any clean, smooth surface; cars, trucks, boats, coolers, potato cannons or caskets. Order a couple for your Rednecks today! Very quick turn around. Turned out great!